(“Participant”), a minor aged 17 or younger, enters into this agreement on behalf of the Participant. Guardian and Participant desire that Participant participate in one or more events and activities sponsored, organized, sanctioned, and/or held at facilities provided by Robin Babovec Cruz and Casey’s Place. Guardian hereby gives permission for Participant to engage one or more activities (as set forth below) sponsored, organized, sanctioned, and/or held at facilities provided by Robin Babovec Cruz and Casey’s Place.  Robin Babovec Cruz and Casey’s Place are authorized to provide transportation to the Participant for purposes of the activity or activities. Guardian, individually and on behalf of Participant, VOLUNTARILY ELECTS TO ACCEPT ALL RISKS connected with Participant’s participation in any activities or events sponsored, organized, sanctioned, and/or held at facilities provided by Robin Babovec Cruz and Casey’s Place. Guardian, individually and on behalf of Participant, RELEASES, DISCHARGES, AND COVENANTS NOT TO SUE Robin Babovec Cruz and Casey’s Place, its officers, directors, agents, and employees (all hereinafter collectively referred to as the “Released Parties”) from any and all claims and liability arising out of strict liability or ordinary negligence of the Released Parties or any other participant which causes Participant or Guardian personal injury, death, or property damage. GUARDIAN INDIVIDUALLY AND ON BEHALF OF PARTICIPANT, COVENANTS TO HOLD THE RELEASED PARTIES HARMLESS AND TO INDEMNIFY RELEASED PARTIES FROM ALL CLAIMS, JUDGMENTS, AND/OR EXPENSES THE RELEASED PARTIES MAY INCUR ARISING OUT OF PARTICIPANT’S PARTICIPATION IN THE ACTIVITIES AND EVENTS THAT ARE SPONSORED, ORGANIZED, SANCTIONED, AND/OR HELD AT FACILITIES PROVIDED BY ROBIN BABOVEC CRUZ AND CASEY’S PLACE. GUARDIAN’S INDEMNITY OBLIGATION EXTENDS TO ACTS AND OMMISSIONS CAUSED BY THE SOLE AND CONCURRENT NEGLIGENCE OF ROBIN BABOVEC CRUZ AND CASEY’S PLACE. Guardian acknowledges that if the Participant does not adhere to the activity rules during the activity, Guardian will be notified and requested to pick up the participant. Guardian hereby gives the representatives of Robin Babovec Cruz and Casey’s Place permission to seek first aid treatment and to consent to emergency medical services on behalf of the Participant should a medical treatment emergency arise. Guardian acknowledges that Robin Babovec Cruz and Casey’s Place consent to emergency medical treatment will in no way create an obligation on the part of Robin Babovec Cruz and Casey’s Place to pay for the medical services rendered. Guardian further acknowledges that he or she has disclosed all information concerning the Participant’s allergies to medications, medications presently taken, and health insurance in the spaces below. NOTE: THE FOLLOWING SIGNATURE IS FOR THIS ONE OUTING ONLY, AND SEPARATE PERMISSION SLIPS WILL BE NEEDED FOR FURTHER OUTINGS. NOTE: THE FOLLOWING SIGNATURE IS GOOD FOR THE ENTIRE 2018 ACTIVITY SEASON, JAN 1 THRU DEC 31, FOR ALL ACTIVITIES SCHEDULED, SUBSEQUENT TO PARENTAL APPROVAL PRIOR TO EACH ACTIVITY.